As the great Bart Simpson once said: the ironing is delicious. 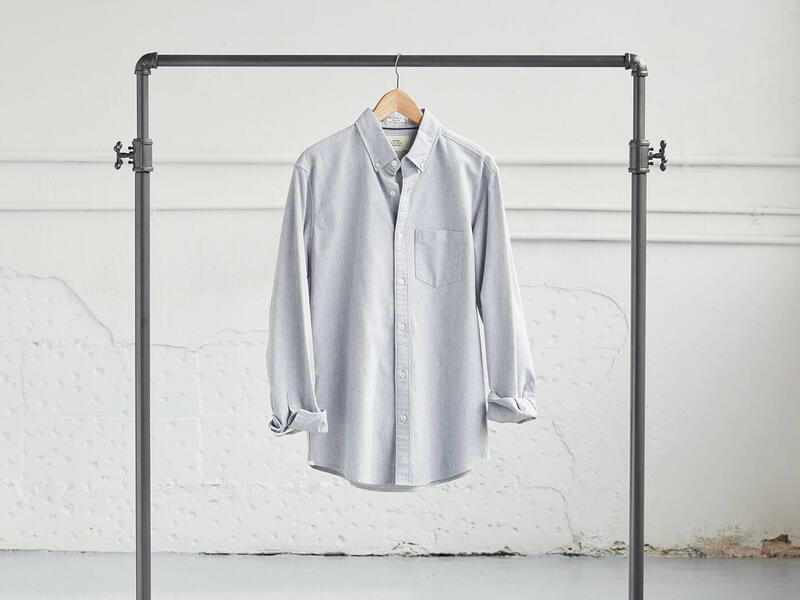 All joking aside, a wrinkled shirt can put a damper on an otherwise stylish outfit, so you should know how to get a crisp, freshly pressed one. First thing’s first: get a good iron with multiple settings for a variety of fabrics. Now that you’ve got the tool in your toolkit, see how to iron your dress shirt—the right way. Here’s a step-by-step guide to ironing your dress shirt. Lay it flat on your board and iron the inside first, then the outside. Next, unbutton the cuffs and iron the inside, then the outside. DO NOT iron over the buttons. The hot iron can chip or break them. Lay them flat on the board so as not to make any unwanted creases. Swipe the iron up the sleeve, then back down. Time to move on to the body of the shirt. Iron the yoke (a.k.a. the shoulder and upper back area), then lay your shirt flat with the arm touching the end of the board. Iron and repeat. Follow with the front of your shirt; one side, then the other. Move on to the back of your shirt, laying it flat on the board. Finally, finish with your shirt placket (a.k.a. the seam where your shirt is buttoned). Iron the non-button side, then move on to the buttoned side, taking care to iron around—not over—the buttons. Pay careful attention to the placket and around the collar, as this is where people will be looking. With a bit of practice, you’ll be ironing like a pro and have a closet full of sleek shirts.